Kenya Prisons will depart Nairobi for Cairo Egypt hours before serve off of the Africa Club Championships that starts this Saturday. 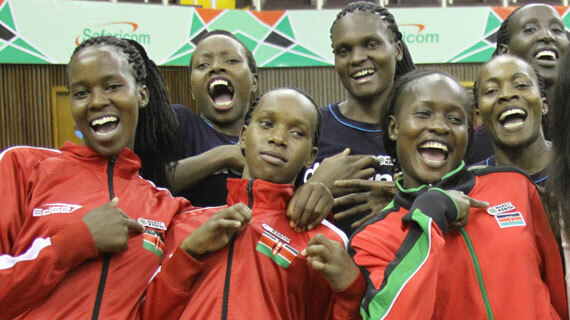 Reprieve for Kenya Prisons as the team has secured tickets to honor the women's Africa Volleyball Club Championships which starts tomorrow in Cairo, Egypt. Head coach Josp Barasa will be leaving for Cairo ON Friday alongside 10 players for teh Africa continental showpiece that serves off this weekend. The remaining four players together with the assistant coach Azenga Mavisi, team manager David Kilundo and the physiotherapist will travel later, subject to securing air tickets. The five-time Africa champions were this afternoon drawn in pool 'D' alongside Asec (Ivory Coast), Nkumba University (Uganda), GS Petroliers (Algeria) and Shams (Egypt). The side got more lucky as day one of the tournament (Saturday) will be their rest day. In the mean time, experienced middle blocker Bracksides Agala who is the teams' captain has been moved to play in the outside hitting position.